The 88th edition of Dutch TT Assen- in weekend during periode of 29th June until 1st Juli 2018! The yearly MotoGP of DutchTT Assen will be taking place every last weekend in June each year. This motor festive races in all Grand Prix classes such as in 125 cc, Moto2 and MotoGP. TT Assen is one of the biggest worldwide sport event of the motorsport GP, as well as in the 125cc, 250cc and also the most popular 500cc of MotoGP. Every year many motor bike lovers visit the TT Assen to enjoy the MotoGP. There are more than 100.000 visitors to the racing circuit which made the TT Assen becomes one of the most special and biggest sport event in Netherland. 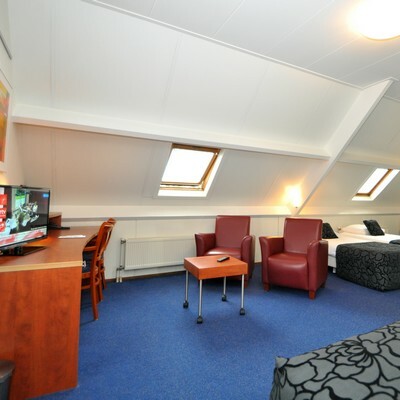 Looking for a hotel accommodation near in Assen TT Circuit Netherlands? Accommodation needed during the TT Assen? Hotel-Restaurant de Meulenhoek in Exloo (Drenthe) is about 20 minutes driving to the circuit Assen. The hotel provides free car parking area with comfortable rooms and nice environment surround the hotel. Immerse yourself into nature of the lovely countryside village of Exloo. Be quick in reservation! 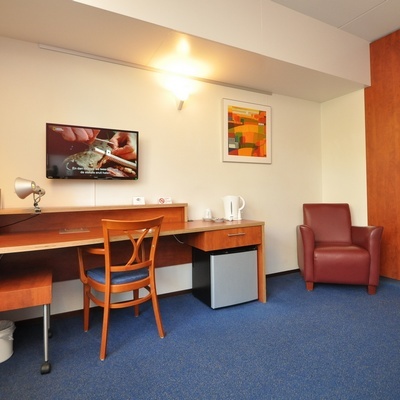 Because most of the hotels are fully booked in the area of Assen within the TT period..
Hotel-Restaurant de Meulenhoek in Exloo has 14 modern rooms (10 double rooms, 2 disable rooms and 2 family rooms) which are completed with private facilities in each room. The family room has spacious area suitable for 4 persons. Book here directly your room. Comfortable boxspring bed, wardrobe with safety box and hair dryer, telephone, balcony, seating place, toiletteries, bathroom and toilet, flatscreen TV, allarm clock, coffee and thee facilities, free wifi. Deluxe 2-persons room at €120,- per night. 4-persons of family room at €120,- per night.